I love comics. I make mine mostly Marvel, but out of the 22 long boxes of books I have, two of them are dedicated to DC (one is nothing but Batman), two more are Dark Horse (mostly Hellboy and BPRD) one is full of Mirage and Image, TMNT and so on, I probably don't need to get into the nitty-gritty of every box. The majority of the remaining boxes (about 16) are Marvel, so now you know how I butter my bread. With that said, this post is going to be about the supposed rivalry that is popping up again between Marvel and DC, mainly related to their cinematic universes. 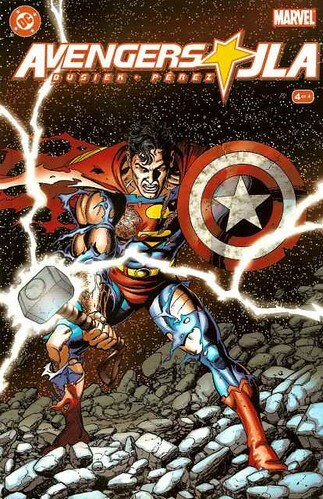 I say supposed, because Marvel and DC have always had a friendly rivalry. Back in the day (as the kids say), in the 60's, the editors of each company were friends. They golfed and had lunches together and worked to make the comics business good for both companies (by stealing ideas from each other). Both companies liked to playfully tease each other in the letters pages, which fans ate up and kind of ran with (unfortunately I don't recall where I first read this). This is what sparked the "war," but there was never really a real rivalry. TinyDoom and I recently saw Batman v Superman. I liked it, she felt it was the Wonder Woman Pre-Show but otherwise it was "Fine" (I didn't disagree). The movie was entertaining, but it had some major flaws (Lex, I'm looking at you) and there was a bounty of poor story telling. The dream sequences were confusing and jarring, some of the cuts didn't make a lot of sense, the pacing at the beginning was odd, and then there's the Batman kills a bunch of guys thing, but I'll get into that later. Affleck was great (aside from all the killing), Gadot was a revelation, for the few moments she had, and even Doomsday was surprisingly well done. There were other things I enjoyed, others I didn't (Lois is nothing but a Damsel-In-Distress), but that's not the point of this post so I'll move on. Henry Cavill I think looks pretty good and I don't think he's a bad actor but I don't think they gave him much to do, aside from act kind of anti-Superman-y. I keep comparing the movie to Avengers: Age of Ultron, which didn't get the same level of hate that BvS has gotten, but it got its fair share of bad reviews. I found AoU fun, mostly because of The Vision and the character interactions (and the Hulk rampage), but there was plenty to be upset about. That thing that Whedon did to Hawkeye is #1, the lame "I'm a monster because I can't have kids" from Blackwidow is #2, along with plenty of smaller annoyances like poor pacing, and Ultron's lips. It wasn't a great movie, but hey, it wasn't bad. BvS is pretty much the same for me. Then two friends shared this post from the NY Post on Facebook. Are DC and Marvel's movies being held to different standards? Yup, they sure are. You can plainly see it in Mr. Kyle Smith's post. I'm not sure everyone who is bashing either franchise is seeing that this is what they are doing, but I believe they are doing it. Hell, I'm doing it. Why is it that I'm offended by Batman killing folks when the Avengers have killed a bunch of bad guys too? I guess you can argue that not killing is not necessary part of Tony Stark's character, whereas it absolutely is for Batman and Superman. The fact that Batman doesn't kill has often been the plot of many a story. Different standards, but perhaps they're warranted? Superman debuts in Action Comics #1 1938, within two years he has a Fleischer Studios short, a radio serial and by 1948 a film serial. Batman debuts in Detective Comics #27 in 1939 and in 1943 he gets a film serial, in 1945 he starts appearing in Superman's radio serial. Captain America debuts in Captain America #1 in 1941. In 1944 he gets a film serial (where he uses a gun instead of his trademark shield). Then nothing until the Marvel cartoons in the 60s. The point of all that being: DC has had Batman and Superman in the public eye basically at some point every decade since they appeared, so every generation has been aware of them. Marvel has not had that success, they had a short-lived cartoon in the 60's, some live action TV movies and shows in the 70s, and some bad movies in the 80s and 90s. Marvel is the relative new guy on the scene, whereas DC has had DECADES to make and remake their characters. DC had their fun movies, the original Batman show, the 70s Superman movies, even Burton's Batman is fun. So it seems that they are going in a new direction, for them, where everything is dark and serious. It doesn't have to be a bad thing, but it is a bit jarring, especially when you place these new films next to Marvel's. Now that Marvel is finally able to bring their heroes to the screen (small and large), the movies have been fun, exciting and the tech is at a place where we can watch a realistic Hulk go berserk and it's honestly terrifying, instead of silly. Why do so many people think that dark and gritty equals mature? I mean, sure, dark and gritty often means violence, blood, intense situations of a sexual nature and the like, which means they are tailored for a more mature audience. But that alone doesn't make it "mature", it means kids need to be accompanied by an adult or guardian. Sure Zack, killing off a beloved icon of Superman comics (Superman's Pal! ), Jimmy Olsen, without even NAMING HIM for the audience to understand what they just saw, yeah, that's a bunch of fun. He also could just not have been in the movie. That was an option, right? Nope, bullet to the head 'cause #$%& 'im, it's fun. Okay, I got into a bit of a rant. I'll self impose a tl;dr. I don't think Zack Snyder cares about Superman, Batman or the Justice League. Batman straight up uses guns and blows a bunch of people away, and not just in one of the dream sequences. The Batmobile has miniguns that pop out and blow other cars, full of people, off the road, not to mention the unnecessary killing of the guy with the flamethrower. If that right there doesn't tell you that the folks in charge don't give a damn about their characters, then I don't know what does. Ultimately I think Snyder just wants to make a movie that he thinks is "cool" even if that doesn't fit into who the characters are. That may or may not be a bad thing, depending on where you are standing. Marvel, on the other hand, is hiring folks who DO care about the characters and are fans of the material. Ultimately I think that makes all the difference. Since I've been working on this post, it's come to light that DC is shooting new scenes to lighten up Suicide Squad. 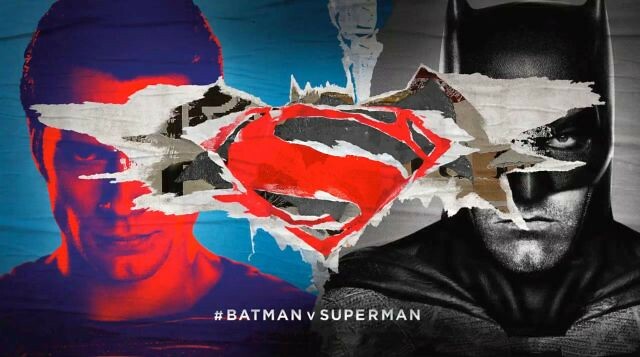 Rumors are that while BvS is doing well (despite a huge drop off in revenue in the second week, with no competition), it's not performing the way the studio has wanted, so perhaps they are listening to the reviews about the movies being too grim, or maybe they are trying to capture some of that sweet Deadpool money. I get the feeling that maybe DC/WB isn't so certain of the direction of their franchise, what do you guys think? Is light and humorous better than dark and serious, or vice versa? That is a matter of opinion, neither of which is totally wrong or totally right. What do you think?